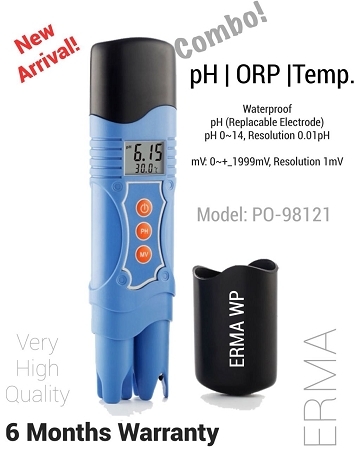 Our top 3-parameter is a waterproof pH, ORP and Temperature meter. All readings are automatically temperature compensated (ATC). Measurements are highly accurate with a stability indicator displayed on the LCD. ?The pH electrode (included) is interchangeable and can be easily replaced by the user.